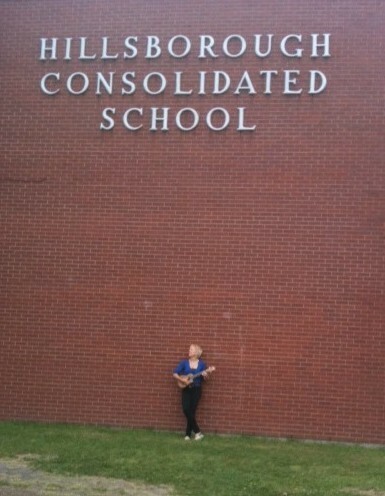 Before our morning show at Hillsborough ES, I made a point of resuming my early morning runnng training. With all of the good food on this tour (and more to come! ), I better keep up my triathlon training in hopes of continuing to fit into my stage clothes! 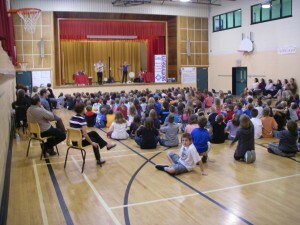 Our afternoon show at Arnold H. McLeod School in Moncton was a delightful group of K-4 students. I was informed by a grade 1 student that angels also play the harp….not just me. I’m in good company, I guess! :-) Afterwards, it was onwards in ‘O Maddie’ to New Glasgow/Stellarton, NS and a weekend off in Cape Breton.